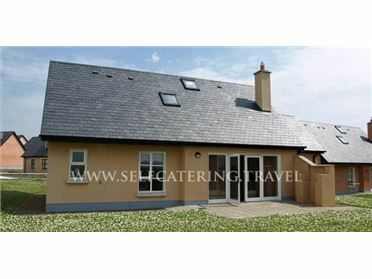 Lis Rua House Self Catering in Castlerea, Co. Roscommon. Failte Ireland 4**** approved. Restored farmhouse with many of the original features retained and it is fully equipped with all modern conveniences. The house is south facing and over looking open countryside. Located mid way between Castlerea and the historical village of Ballintubber. Large garden and private parking. Garden furniture and BBQ Games/Playroom on grounds. Large open plan living/dining room with open fire. Furnished to a high standard for your comfort and relaxation. Fully equipped kitchen. Utility room with washing machine, dryer and sink. Spiral staircase. One double bedroom. One single bedroom on ground floor. Bathroom on ground floor. Shower room on second floor.